A devotional blog for LGBT and other alienated Christians--with occasional personal observations. We can forgive the women their confusion. They’ve just witnessed their beloved Teacher’s gruesome death at the hands of their political oppressors, sanctioned by their religious leaders. In the midst of their grief, they face the hard reality that they are, for all practical purposes, enemies of the state and religious rebels. The rush to bury Jesus left their work undone. The men have gone underground. And their worst nightmare—that someone might steal Jesus’s body, perhaps as a cruel prank to visit further indignities on Him—appears to have come true. How can we possibly expect them to be clearheaded? They’re just doing what they know to do, following ancient tradition that burdens women with preserving their loved ones’ cadavers. Urgency and grief leave no room to think things through. The Gospels’ compressed accounts of the Easter story leave the impression that everything happens quickly: Where is Jesus? He’s not here. He’s alive! Let’s run back to tell Peter and the rest of the guys. But that question—Why do you look for the living among the dead?—can’t be glossed over. It needs time to sink in. As the sun edges over the horizon, it dawns on the women. Of course. Why would we expect to find Jesus here, when He emphatically told us He would rise on the third day? This is the last place He’d be. What were we thinking? Why do you look for the living among the dead? It’s a question that won’t go away—particularly for those of us who find ourselves on the outs with the political and religious establishment. Our association with Jesus raises suspicions. We answered His call to follow Him. Yet we suffer intolerable sorrow as we witness constant attempts to mangle and destroy His gospel of unconditional love. Some of us go underground, fearing we’ll also be victims of religious hatred. In defiant grief, many of us summon false bravado that induces us to withdraw completely from the community of believers. Who wants to go where they’re not wanted? But there are just as many, if not more, of us who fall into the same patterns that brought the women to an abandoned tomb. Although we don’t fit traditional molds, we persist in trying. We do what we’re told and risk whatever it takes to get the job done. So we travel silently in predawn shadows, taking care not to draw notice from anyone in a position to challenge our faith. We worry about not completing unsavory tasks that diminish our value. We fear the worst—that we’ll look for Jesus only to discover He’s been stolen from us. Broken-hearted and confused, we end up in a graveyard, ready to offer Jesus what He doesn’t need. Even if the men mustered the nerve to accompany Mary Magdalene and the rest to the tomb, it’s doubtful they would have gone. Dressing corpses is women’s work. As it turns out, that’s not the work Christ needed them to do. Their spices and traditions are useless. When the reality of what’s happened finally dawns on them, the women are tasked with delivering the news of Jesus’s resurrection. This is a radical reordering of gender roles that many struggle with to this day. Had these extraordinary women slunk back into the shadows of tradition and fear, the Easter story might never have been told. 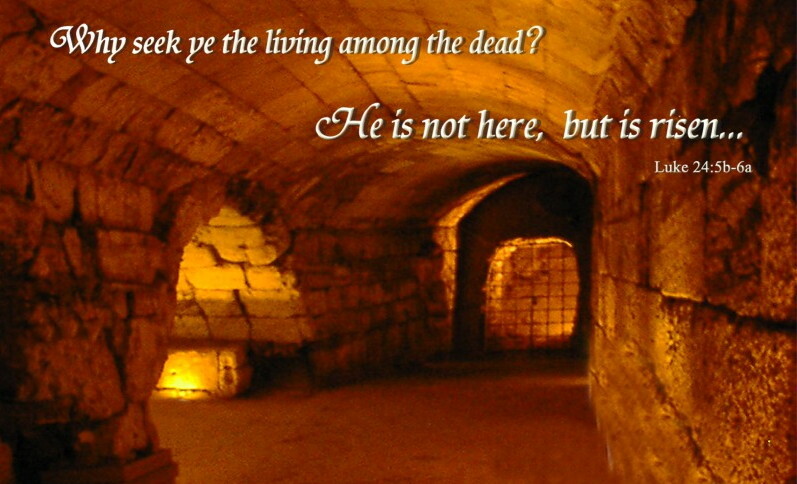 Why do you look for the living among the dead? Why indeed. If we allow the Easter story to start and stop with Jesus and the disciples, we reduce it to a magical tale that ends with “they all lived happily ever after.” This unprecedented event is designed so that all who embrace it by faith will likewise live happily ever after. To get there, however, we have to break our addiction to shadows. We have to stop looking for Christ among the dead. Trips to the graveyard, no matter how sincerely they’re undertaken, get us nowhere. The Jesus we seek isn’t there. He is alive and well and present among the living. In Romans 6, Paul tells us, “We know that Christ, being raised from the dead, will never die again; death no longer has dominion over Him. The death He died, He died to sin, once for all; but the life He lives, He lives to God. So you must also consider yourselves dead to sin and alive to God in Christ Jesus.” (v9-11) “Dead to sin” means “free to live.” Jesus accomplished this once… for all. Easter lavishes on us a fully inclusive faith that defies every demeaning label and tradition. The instant the stone rolled away it took the need for shadow-living with it. No believer has any cause for fear or shame. We are all free to live out our faith with boldness and clarity. So let’s put the spices away. Let’s forget our anxieties about being found out and settling for second-best. Let’s quit trying to do for Jesus what He doesn’t need. We answer a call higher than adherence to ancient tradition and religious exclusion. We have been entrusted with the unassailable truth of resurrection. We are alive to God. This is our story to tell and we can’t proclaim it until we realize the graveyard is nowhere we want to be. If our search for the Risen Christ finds us clinging to shadows and abiding by demeaning traditions, we’re looking in the wrong place. Today marks Straight-Friendly’s 1001th post. When I began nearly five years ago, I had no idea where it would lead. I certainly didn’t anticipate this little project would bring so many blessings to my life, forging tremendous spiritual bonds and lasting friendships with so many kindred spirits. I cherish every one of you who have supported this effort with your prayers and encouragement. And I’m grateful to know the work we’ve done together in this place has helped many who were struggling to find their place in God’s kingdom. Crossing this major threshold on Easter Sunday, it seems a fitting time for Straight-Friendly to take its leave. There are new areas of ministry I hope to explore, fresh horizons to seek out. While my heart will always remain with each of you, I feel myself being drawn to people and places the blog hasn’t reached. Setting it aside will provide time and energy to do that. Should the time come to resume S-F—or set out on another online adventure—the first thing I’ll do is publish a post here. Meanwhile, I hope to stay in touch with as many of you as possible via Facebook, email, and other means of contact that have held us together all these years. If you’ve not found me on Facebook and care to, I encourage you to look me up. I love you more than I can say. I’m grateful for all you’ve meant to Straight-Friendly’s success and to me. I hold each of you in my heart and pray God’s bountiful goodness will find you at every turn as you seek God’s will in all you do. Easter expects us to believe the most supernatural event ever recorded in history. A man is tortured within an inch of his life and nailed to a cross, where he’s exposed to the elements for nine hours, bleeds out, and eventually suffocates beneath the pressure of his weight. His body is rushed into a borrowed crypt, with a massive stone and two guards placed at its entrance to prevent grave robbers from stealing his corpse. (There’s some wild talk predicting he’ll rise from the dead. So it’s best all around to ensure his burial site isn’t tampered with.) Two days later, his friends return to check on the grave and discover the stone has been moved and his body is missing. That’s when they learn that he has indeed come back to life and freed himself from the grave—an amazing feat for a man of uncommon physical strength, let alone someone whose body has been ravaged and who was undeniably dead. That’s the story and if we’re to believe in the power of Christ in our lives and the world, we have to believe that’s what happened. We can puzzle out all sorts of alternative scenarios. Yet none of them satisfy. Maybe Jesus never died; maybe He lapsed into a coma and His disciples assumed He was dead. But if He was buried alive, how could someone in His condition muster the strength to push back the enormous tombstone? Maybe He was dead and His followers managed to abscond with His corpse. Then how do we explain the random sightings that occur in the weeks after His resurrection? Maybe the whole thing was a hoax. Then how do we explain why this myth has survived two millennia? On some level, this story was, is, and will always remain very real. And for us to benefit from all that it represents, we must retire our logical skepticism and accept its supernatural mysteries by faith. What’s most interesting is that, six days prior to His death, Jesus explains the mechanics of His resurrection in the most mundane natural terms. He compares the process to a planting cycle. A wheat grain is buried in the ground, where it dies, and resurges to abundant life that produces more grain, which in turn will be buried, die, and yield even more life. In this context, the Resurrection is the most natural occurrence known to humankind. Although we don’t understand the actual phenomenon, the concept of dying to live is one we encounter every day. It’s what puts food on our tables, fills our gardens with beauty, and provides shelter in the shade of vast trees and lumber we use to build our homes. As we anticipate tomorrow’s Easter celebrations, we listen closely to Jesus’s explanation, because He expands His story to include us. 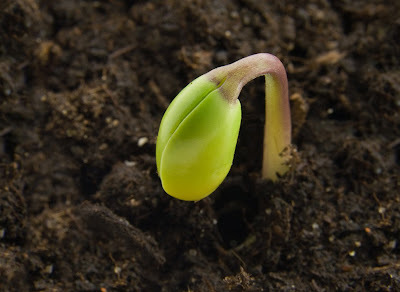 We carry in us the seeds of His resurrection. We are the fruit born from His death. And we must also die so that we too can bear fruit. How does this work? We can’t really say. All we know is it happens in us just as surely as one wheat stalk yields hundreds of grains that are sown into the ground, die, and resurge into new life that produces exponentially more grain. It is the most natural process we know. Yet it is also the most supernatural transformation we can possibly experience. Our faith is perpetuated by willingness to release ourselves from the fear of death and all that it triggers: hatred, competitiveness, insecurity, materialism, and every other life-limiting woe we cling to in hopes of survival. We arrive at the empty tomb, astounded by its miracle, while also realizing the very thing that perplexes us is at work in us. We are dying to live. The resurrection phenomenon doesn’t end with Jesus at Easter. It resurfaces every day in our lives, in every moment when we refute the fear of death by placing love for others alongside love of self and love for God—the Creator Who ordained this astonishing life-death-life cycle—above all. The Holy Week narrative is riddled with crucial decisions. Faced with the option of entering Jerusalem anonymously, like any other Passover celebrant, Jesus chooses to ride into the city to the acclaim of His followers. He chooses to purge the Temple of thieving merchants. He chooses to return to the Temple throughout the week, where He teaches in an open forum, almost taunting the authorities to arrest Him. He chooses to expose Judas’s treachery at the Last Supper and then decides to facilitate His own arrest by taking the disciples to pray in Gethsemane. During His trial, He chooses not to defend Himself, allowing the crowd’s hatred and suspicion to run its course. Even while on the cross—where the skeptical thief challenges Him to save Himself—Jesus meets death at the crossroads and decides to die. 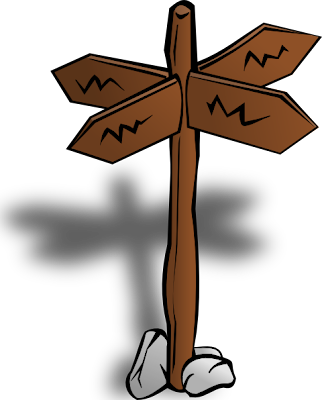 But all of these choices are a subset of a far greater crucial decision God makes in advance, a choice that ultimately brings us to a crossroads where we face crucial decisions about the direction our lives will take. In 2 Corinthians 5.20-21, Paul defines the terms of this decision, saying, “We entreat you on behalf of Christ, be reconciled to God. For our sake God made Jesus to be sin Who knew no sin, so that in Him we might become the righteousness of God.” When faced with the prospect of remaining estranged from us due to our waywardness, God provided a means of reconciliation through the cross. We've been given a choice. At Christmas, we marvel at the Incarnation, when God voluntarily takes on human flesh to live among us, as one of us. That is also a crucial decision. Yet today, as we rehearse the agonies of the Crucifixion, we see Jesus as more than “one of us.” The brutally maimed Savior has now become all of us. God made Jesus to be sin in its entirety—each of us at his/her worst and weakest—so that every one of us might become the righteousness of God. This was inconceivable before Good Friday, because such a choice was unavailable to us. So, while Jesus remains the central figure in the Crucifixion narrative, this gruesome story is ultimately about us, and our decision to be reconciled to God. We stand at a crossroad that that asks us to choose how we will live. Will we continue down a path that takes us farther and farther from God’s plan for our lives? Or will we turn away from selfish, unhealthy living to follow God’s way? Because of Calvary, no one is denied the right to decide. Romans 3.22-24 assures us, “There is no distinction, since all have sinned and fall short of the glory of God; they are now justified by God’s grace, through the redemption that is in Christ Jesus.” Our right to choose isn’t based on the nature or extent of our failures and weaknesses. Since we’ve all sinned, we’re all given the gift of choice—to be reconciled with God or to pursue paths that distance us from God’s love and acceptance. No one is excluded. Standing before the cross hands us crucial decisions that we make every day we live. If we allow the power of what we see to come alive in us, we will make the right choices. The first time I attended our church’s Maundy Thursday service, I was completely unprepared for the emotional wallop it delivered. By the time it ended and I made my way to the street, I was in shock. I couldn’t describe the feelings that surged in and around me. And I wasn’t alone. As we stood on the corner, waiting for the light to change, members of our congregation searched one another’s faces, as if to say, “What just happened in there?” Now that I’ve been to the service several times, my initial sense of being overwhelmed has eased. But the extraordinary feelings of loss remain, and exiting the service still puts me in an uncomfortable state akin to suspended animation. They have taken Jesus away, and His absence turns the world into a cold, dark, and distressingly hollow place. The service is commonly known as Tenebrae, its name drawn from Latin for “shadows” or “darkness.” The liturgy is simple: hymns and music commemorate Jesus’s last night with the disciples while a series of readings revisit the events of that fateful evening. The sanctuary is candlelit and with each reading, another light is taken away, so that the church slowly descends into darkness. As the sanctuary grows dimmer, our spirits grow heavier. The final hymn is sung, the last passage read, and then comes the final blow. With a single candle flickering on the altar—in stubborn hope—the pastors and elders systematically remove any sign of Jesus from the sanctuary. The communion set is taken away. The cross comes down. The altar dressings are struck. The oversized pulpit Bible is removed. We sit in silence, watching symbols of our faith—and Christ’s presence among us—vanish into the night. The grief is palpable. There is no benediction. Before the sanctuary is stripped and left to slumber in the shadows, the pastor tells us we’re free to leave after the last item is removed. No one rushes out the door. You sit there, numb, confused, and straining to remember that, in three days, this dark and lonely place will explode in victorious life. All that’s been taken away will be returned, and with it there will be banners and flowers and vibrant anthems of hope and faithfulness and joy. They have taken our Lord. Shadows thicken and sorrow overwhelms. An aching hollowness carves itself into the marrow of our souls. They have taken our Lord. But they have not defeated our God. Death is no match for this great God of love and power. Don’t fight the darkness. Let it descend. Go there—into that land of shadow and feel how empty the world becomes when Jesus is taken from it. But know the story doesn’t end in the dark. The shadows may fall. But our Savior will rise. As I write this, PBS is showing Jerusalem: Center of the World, a detailed history of the city. Much attention is being paid to the sacred sites—for Jews, for Christians, and for Muslims. It’s fascinating to hear about the need to memorialize key events in each religion’s story. No one can say for certain if this or that place is actually where a famous event occurred. The words “legend has it” carry tremendous weight in the absence of scientific proof. So it is that claiming Jesus died here, was buried there, ascended over here, and so on—without any reliable evidence—inspires faith and worship. Does accuracy of the claim really matter? Not really, as long as its identification with specific moments in Jesus’s life encourages belief. This concept of memorializing our faith interests me. We do a great job of memorializing our lives. We take many pictures, we return to spots where events transpired, we etch our names into trees and scroll them into wet cement. But do we recall where we were when belief in Jesus started to make sense? Do we remember our baptism or confirmation or first communion—or any other rite that solidified our identity as part of God’s family? Where were we when we decided a cursory relationship with Jesus wasn’t good enough? What brought us to the place of need for God—and what was that place? Every time something significant happens, the ancients memorialize for it. Sometimes it's nothing more than a pile of rocks. Sometimes it's an elaborate altar. But the point is very clear: this moment is not to be forgot. Of course, we’re moving toward the ultimate of all memorials: Mount Calvary and the site of the empty tomb. But we all arrive there from many different places. We bring an infinite range of personal experiences. And in our individual pasts, each of us has moments in time that belong to only us, yet exemplify something universal and powerful and incontrovertible in their evidence that God loves us. Holy Week isn’t only about what happens at Calvary. It’s about what happens in us. Our hearts are sacred sites. Our lives are sacred stories. As we stop by the signature sites of Holy Week, let us pause to revisit our own memorials. 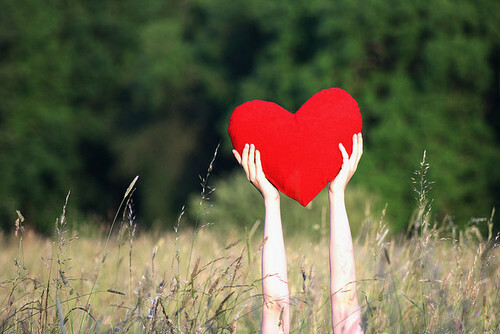 We have, all of us, come a very long way, led to faith and called to love by God’s sweet Spirit. There are moments and people and places that we associate with grace’s miracle in our lives. We can close our eyes and recall when thorns vanished and mighty cypress trees rose up, when briers disappeared and lovely myrtles took root in us. These are our holy places, our memorials. As we press closer to the cross, may we cherish the holy moments and places that brought us here. Thank God for grace, for forgiveness, and for faith’s determination. Our Creator has no gender. Saddling God with pronouns that undermine that truth undermines our awareness that God is revealed in all of us, regardless of gender, ethnicity, or orientation. Join the group. Spread the word. Straight-Friendly: The Gay Believer's Life in Christ is now available. For more info or to purchase, click on the cover. 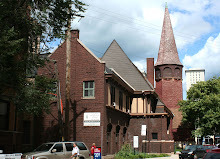 This is Lake View Presbyterian Church, my church. What’s wrong with this picture—and would be wrong with any picture of my church—is that it fails to capture the genuine spirit of community that lives in its walls. It’s where more than 300 believers of all ages, colors, backgrounds, and orientations come together in worship and service. It’s a hub of learning, listening, and loving—of living. It’s an organism engaged in relentless dialogue with the world—inside it, around it (namely, Lakeview-Boystown, Chicago’s largest gay neighborhood), and the world at large. And most of all it is where my soul finds its home. And, OK, this is an overt plug for LVPC. If you live within driving distance and seek an authentically balanced, caring, and welcoming community, I can’t recommend it highly enough. But it’s also a testament to the importance of finding community. It may be possible to sustain one’s faith without fellowship. But I’m not so sure it’s possible to grow without Biblically sound teaching and the company of committed, compassionate believers. If you’ve not yet found a nurturing, welcoming faith community, I encourage you to begin or continue your search. Below you’ll find a list of churches (including LVPC) that asked to be linked here. One may be near you. If not, thousands like them all over the world are listed on gaychurch.org. Make the effort to explore those near you. Your soul needs a home.